Cornelius Gurlitt, the 81-year-old German man who gained prominence in the fall because he was revealed to have a massive amount of artwork has passed away after a heart procedure. Several claims have been lodged on behalf of the descendants of people whose works were allegedly stolen under the Nazis. Among them are the heirs of David Friedmann, a German Jewish businessman, who have laid claim to the Max Liebermann painting “Two Riders on the Beach”. August Matteis, the US lawyer in the Friedmann case, said Mr Gurlitt “never had a role in the claim” because the painting clearly belonged to Mr Friedmann’s heirs.His death removed the tax investigation as a cause of delay because any tax owed to the authorities could be covered by the sale of Mr Gurlitt’s other works. “There must be no more paralysis for the sake of delay,” said Mr Matteis. Monika Grütters, who oversees cultural affairs for Germany’s federal government, issued a statement on Tuesday lauding Mr. Gurlitt for allowing the investigation of his collection. “As a private person, he set an example in his commitment to moral responsibility in seeking out fair and just solutions,” the statement said. “For this step, he was rightly accorded recognition and respect.” The German authorities have held the trove at an undisclosed location, citing security reasons for the secrecy. In February, an additional 238 works — some of them said to be top-quality paintings — were removed from Mr. Gurlitt’s second home, in Salzburg, Austria, and relocated also to an unnamed location. Mr. Gurlitt was last known to have sold a painting in December 2011, when the “Lion Tamer” by Beckmann fetched 864,000 euros, or $1.17 million, at an auction in Cologne, Germany. The auction house, Lempertz, said it brokered an agreement for some of the money to go to heirs of Alfred Flechtheim, a Jewish art dealer who was forced to leave Germany and died a poor man in London in 1937. Although reporters from around the world camped outside his Munich apartment for weeks after his art collection was revealed, Mr. Gurlitt gave only one interview, to the news weekly Der Spiegel. In that conversation, he revealed little about his life, saying that the only thing he had loved were his pictures. Although that investigation will lapse now that Mr. Gurlitt is dead, fresh hurdles abound, mainly surrounding a simple question: who has inherited Mr. Gurlitt’s estate? Christopher Marinello, a lawyer for the Rosenberg heirs, says the family will continue pursuing the case, but that “we’ll have to wait for the estate process to run its course.” It is unclear, though, whom Mr. Marinello should even contact or who will be handling the estate process. Melissa Eddy & Alison Smale, Cornelius Gurlitt, Scrutinized Son of Nazi-Era Art Dealer, Is Dead at 81, The New York Times, May 6, 2014. Mary M. Lane, German Art Collector in Nazi Loot Uproar Dies, Wall Street Journal, May 6, 2014. Stefan Wagstyl, Cornelius Gurlitt, Son of Nazi Era Art Dealer, Dies, Financial Times, May 6, 2014. The interesting story is how Gurlitt and his father were able to explain and justify the possession of these works for so many years, else keep it so well-hidden. The 30-year German statute of limitations on stolen art claims now also supports his current possession (though if there is any evidence Gurlitt knew these works were stolen would surely be grounds for challenging his possession). So Mr. Monteagle and his relatives have taken to the soapbox. They are using the local Swiss system of popular referendums — which require the signatures of at least 10 percent of registered voters, 2,500 in this case — to bring the issue before elected officials, since the museum is owned by the town. And they are taking the early, tentative steps required to force the local legislature to put an issue to a vote; if the legislature were to approve, more signatures could be gathered for a communitywide vote. 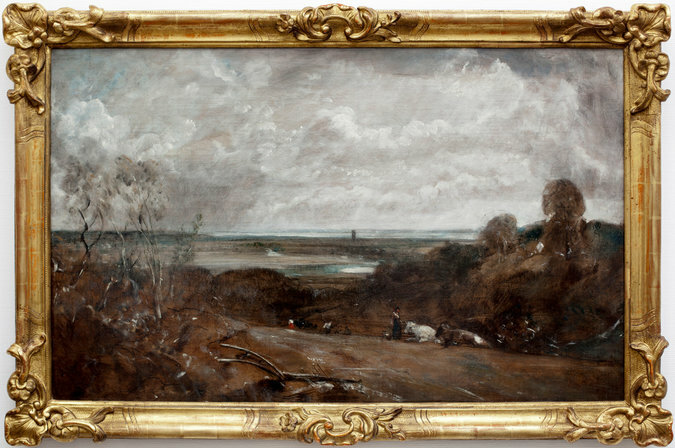 The Constable painting, “Dedham From Langham,” a 19th-century landscape of the English countryside, was seized in Nice, France, in 1943, along with all the valuables of Mr. Monteagle’s great-aunt, Anna Jaffé, a childless British expatriate and wealthy Jewish art collector who had died a year earlier. Her French heir, a nephew who was Mr. Monteagle’s grandfather, died in Auschwitz. The pro-Nazi Vichy government of France organized an auction in Nice, unloading everything from silver sugar pots and tapestries to paintings by Turner and Tenier. Ultimately, the Constable painting passed among three new owners during the war and was purchased by a Geneva gallery, which sold it in 1946 to René Junod. He was an art collector and Swiss businessman who, with his wife, left a collection of 30 paintings to the museum here in 1986, along with money for renovation and expansion. Whether Mr. Monteagle’s effort will be successful or not remains to be seen. But his cause may certainly receive a boost from the high-profile article. Doreen Carvajal, Wooing the Public to Recover Art, The New York Times, March 18, 2014. Some of the dust has settled after the frenzied early reports about the cache of art found in a Munich apartment. We can start to see what the discovery of all this art means. The Art Newspaper has the best English-language account I’ve seen of the press conference yesterday. We know that German authorities seized 121 framed works; and 1,285 unframed works. The search of the apartment occurred in February 2012—not in 2011 as many initial reports indicated. Cornelius Gurlitt also owns a home in Salzburg, Austria, and his immediate location is not known. The authorities in Augsburg invite individuals who may be seeking the return of art to contact the prosecutor’s office there. There has been a great deal of criticism levied against German officials. But I’ve yet to see any wrongdoing on their part. An 18 month delay does not strike me as unjustified given the enormity of this recovery and the difficult task uncovering the history of all these works. As unpleasant as it may be, we have to remember that Mr. Gurlitt has rights, and nations cannot just strip him of his property rights. It appears as if original owners may be able to be tracked down for much of this art. But for art spoliated during World War II, there was a wide spectrum of art that was taken—from outright theft on one end to sales under duress, to even some fair transactions at the other. Its also possible that Gurlitt may have good title to a substantial portion of this art. The German authorities are likely examining how best to navigate this difficult issue. If it appears like they were misleading or held ulterior motives, then criticism is certainly warranted, but I’ve yet to see it. So rather than a host of conflicting claims, prosecutors can match existing claimants. 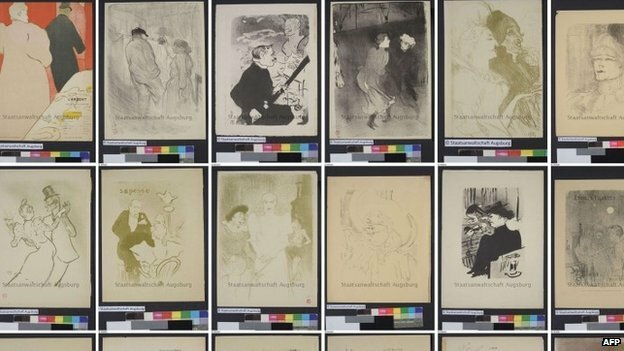 Continuing that of the 21,000 pieces of ‘degenerate’ art which were seized, 2/3 were prints. Only 1/3 were originals. Gurlitt’s cache reveals that many assumptions about the Nazis and art are simply untrue. The Degenerate Art exhibition was real enough – but did it really mean the Nazis hated modern art? It is because we take this for granted that no one has been searching for lost “degenerate” works such as those in the flat in Munich. Some works from the Entartete Kunst exhibition, many seized from once-progressive German museums, were sold abroad afterwards. Others have vanished. As the war began and Nazi racial policies became ever more explicit, more modern and pre-modern works were seized or bought for a pittance from Jewish owners. Much was destroyed. Or was it? Michalska, Julia. “Details of Naziloot Cache Revealed.” The Art Newspaper, Nov. 5, 2013. Smale, Alison. 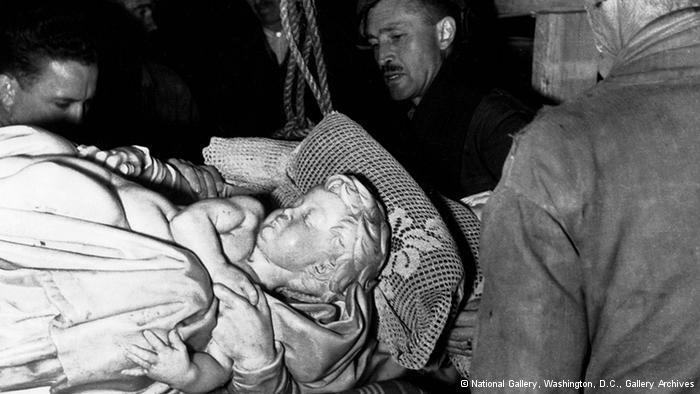 “Report of Nazi-Looted Trove Puts Art World in an Uproar” The New York Times, November 4, 2013. AP. “German Gov’t Helping Probe Into Huge Art Find.” via ABC News, November 4, 2013. The recovery rate for stolen art may take a dramatic shift towards original owners. The German magazine Focus has broken the story of an incredible find. One of the most remarkable discoveries of stolen art that I can think of. A reported 1,500 works of art by artists including Matisse, Picasso, Chagall, Klee, and others was stored in an apartment in Berlin for years. 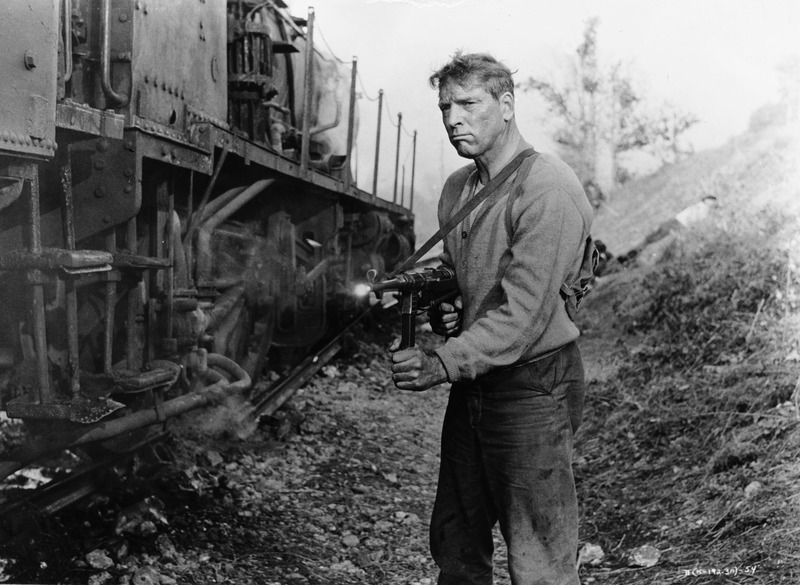 The works were likely spoliated by Nazis during the 1930s-40s. When authorities executed a search warrant they found the works stacked in a dark room in a flat in this apartment block in Munich. 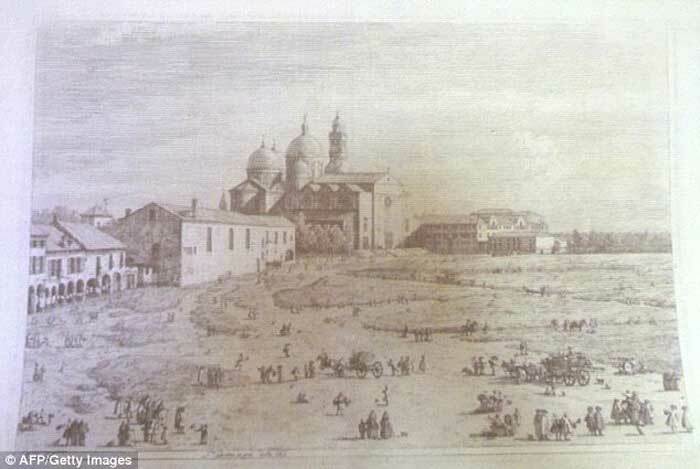 They were hidden there by Cornelius Gurlitt, now 80, who was the son of a Munich art dealer. 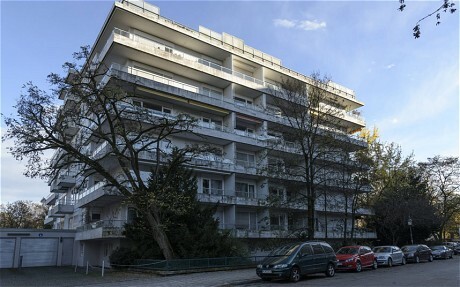 The works were discovered after tax authorities executed a search warrant of Gurlitt’s apartment in 2011. He was stopped on a train bound for Switzerland with 9,000 euros in cash, and had plans to deposit the money in undeclared Swiss accounts. When the authorities searched his home they found what must be one of the largest ever single recoveries of stolen art. I’ve just finished reading Noah Charney’s “Stealing the Mystic Lamb: The True Story of the World’s Most Coveted Masterpiece”. This review should probably begin with a disclosure. Noah is a friend and colleague, first an internet acquaintance, and now we meet up every summer in Amelia during ARCA’s MA certificate program which he founded. This work tells the story of one massive 2-ton altar piece, the single most stolen work of art of all time, and one that should be familiar to anyone who has taken an introduction to art history course. After dropping the reader into history as allied forces are searching for the altar piece during World War II, we learn early on that this work was the prize of Hitler and Napoleon. That this massive masterpiece was nearly destroyed many times over. Yet somehow it has endured. And we should all be glad it has. The object itself is stunning, Charney in the first chapter takes the reader through the importance of the painting itself, how it helped launch the career of Jan van Eyck, how art historians have puzzled over how much of the work was completed by van Eyck’s brother Hubert, how the artist used intricate symbolism, how it helped usher in the era of oil painting and beautiful detail. But perhaps most importantly, the discussion of this painting and all it symbolizes reminded me why art matters, and how a stunning work of art can change the way we all see the world, and each viewer gets a chance to re-learn or even re-evaluate those shifts in opinion. And in the end the work begins with a lively account for why individuals have stolen, mutilated, and coveted this work of art. Next the reader learns about the artist himself, about the “Magician in the Red Turban”. the reader also learns about attribution, the recent decline of connoisseurship in the appreciation of art, how the movement of art can cause the re-appraisal of works of art as happened when the Albert Barnes Collection is preparing to move and many of its Old Master paintings were found to have been misattributed. We learn about the creation of the Louvre, the place the Ghent altarpiece played in the creation of that museum, and how many of the arguments made for a universal museum were made by Dominique Vivant Denon who served as the architect of the art looting during Napleon’s reign. Charney spends great care telling the story of the altarpiece during both World Wars, noting the debt we art theft writers owe to Karl Meyer, Robert Edsel and Brett Witter’s fine work telling the story of the Monuments Men, and Lynn Nicholas among many others. Yet what really comes through in Charney’s book is a breathless story which merges history, towering figures like Napoleon or Hitler and their associates, art, artists, and imagery that revalidates why so many are interested in the study of art theft: these are really good stories. And it ends with an epilogue, yet another of the work’s enduring mysteries, that should not be spoiled here.